Advent is one of my favorite times of the year. Although I am definitely not a huge fan of winter, one thing that gets me excited about this time of the year is celebrating the arrival of our Savior Jesus Christ. While there is reasonably some debate regarding whether or not Jesus was actually born on the month let alone the day that we celebrate Christmas, I know that I am not celebrating it simply because society encourages us to or to contribute to the economy by purchasing a bunch of gifts. I am celebrating Christmas because I am celebrating the birth of our beautiful Savior (whether in December or some other time of the year), who came to this earth to redeem us, free us, and provide us with the beautiful gift of eternal life and fellowship with God. 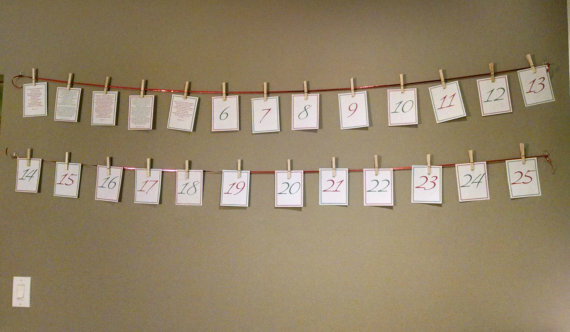 The reason I am sharing about advent today is because it’s officially advent season! This is the first advent that Han and I will be sharing as husband and wife, so the traditions we’re coming up with this year will be special for us since it’ll be the first. Other than decorating the tree and lighting the candles, I really wanted to find some ways to celebrate advent this year. 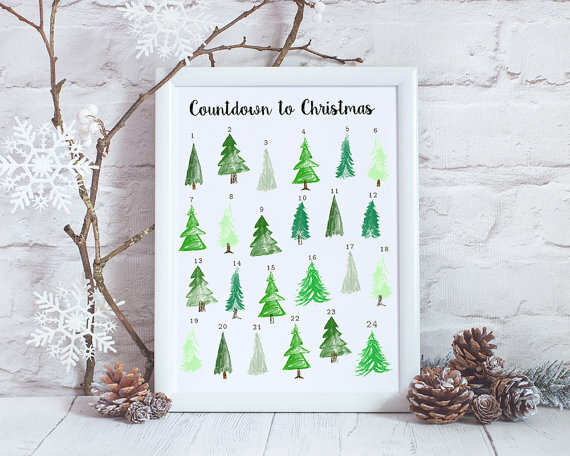 We’re pretty late on the advent game due to some unforeseen circumstances in our personal life, but hoping to get on the tree-purchasing-advent-celebrating-home-decorating kick next week! As my husband and I try looking for some fun, special ways to celebrate, I figured I’d share some of the ideas we’re considering with you in the event that you are also looking for some ideas. I love printables and one of the things I love the most about this idea is not only is it cute, but it’s reusable. One of the ways I’m considering using this gem is by placing it in a frame (similar to the way it’s displaced) and writing on it using dry-erase markers. 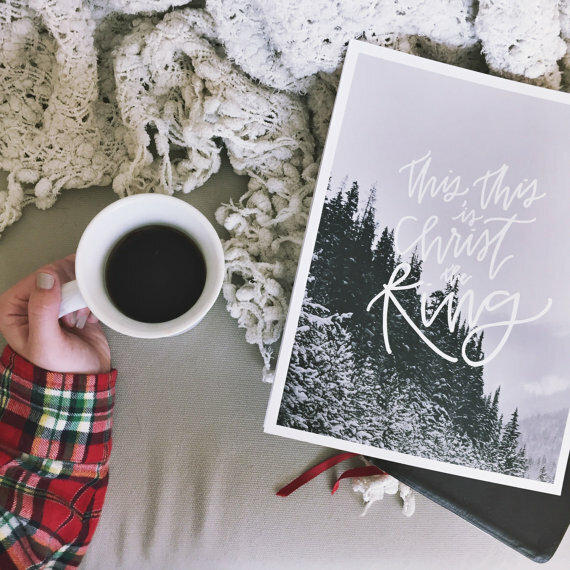 I love the idea of writing in the ways we’re celebrating in smaller ways such as purchasing a tree or making hot-cocoa. I know I love the idea of perhaps writing in prayers and on each day, having an intentional time of prayer, interceding for another person or a specific concern. I think one of the reasons why I love this idea is because of minimalistic and simple to erect it is. On the back of each day, there’s a bible verse that you can meditate on, prayer over, or spend time studying. I know one thing I’m really hoping to find in an advent calendar is one that incorporates scripture or at least allows space for you to do so. One of the things that makes this calendar so perfect is it already does that for you. If the $15 is a bit too much, you could easily recreate this yourself by purchasing string, index cards (or card stock paper) and paper clips. I haven’t read this yet, but if the content in this is anything like the rest of the items they sell, I’d say it might be worth a read. This reading is for those that would rather read rather than make or remove something from a calendar. For $5 you get 30 days worth or content! • A lined notes page. 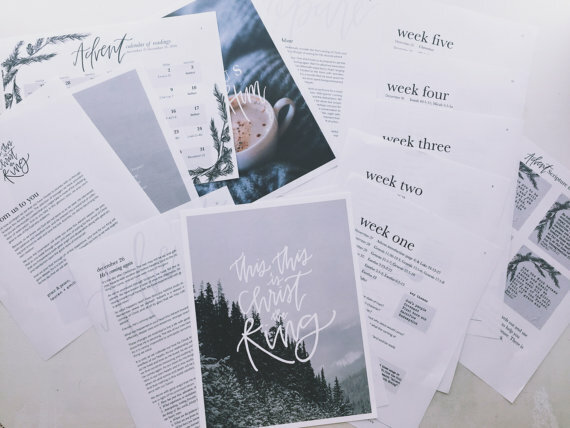 Print off 35 copies of this page, put it in a binder and create a record of your journey through Advent. I love this idea! I’m all for learning new ways to consider Jesus and establish a routine where you are thinking of the things Paul instructs us to in Philippians 4:8. 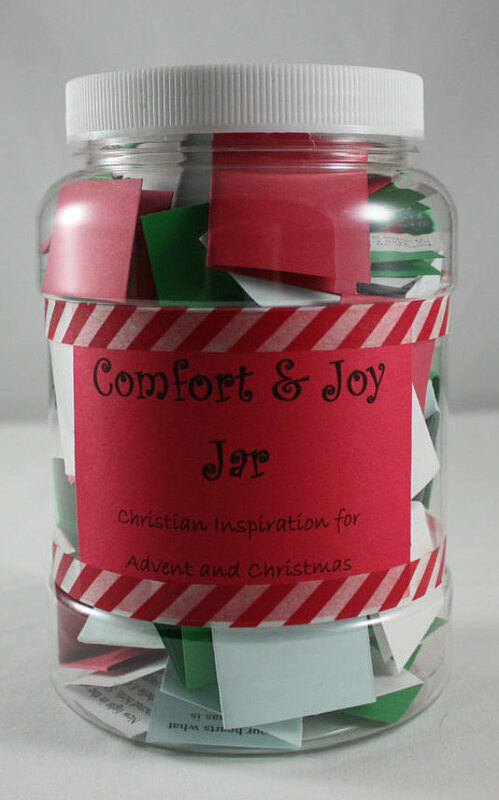 This jar includes slips of that include scriptural and inspirational phrases and verses to think of each day of advent. However, each item is made by the poster, herself. If you’re looking for more specific verses, I would say that this is another item that you could also do yourself! If you have an old jar, some construction paper, and a few slips of paper, you can easily personalize the jar or even purchase this one and add your own verses to it! While we’re definitely still undecided regarding how we’re going to celebrate it this year since we’re in the middle of a move, once we figure it out, we’ll be sure to share with you in a future post and how we’re seeking to make it our own! What are some of the ways you’re celebrating advent season? What is your favorite part about advent?